Snow Performance Nitro Booster UNIVERSAL - Dezod Motorsports Inc - Home of the automotive performance enthusiast since 2002. 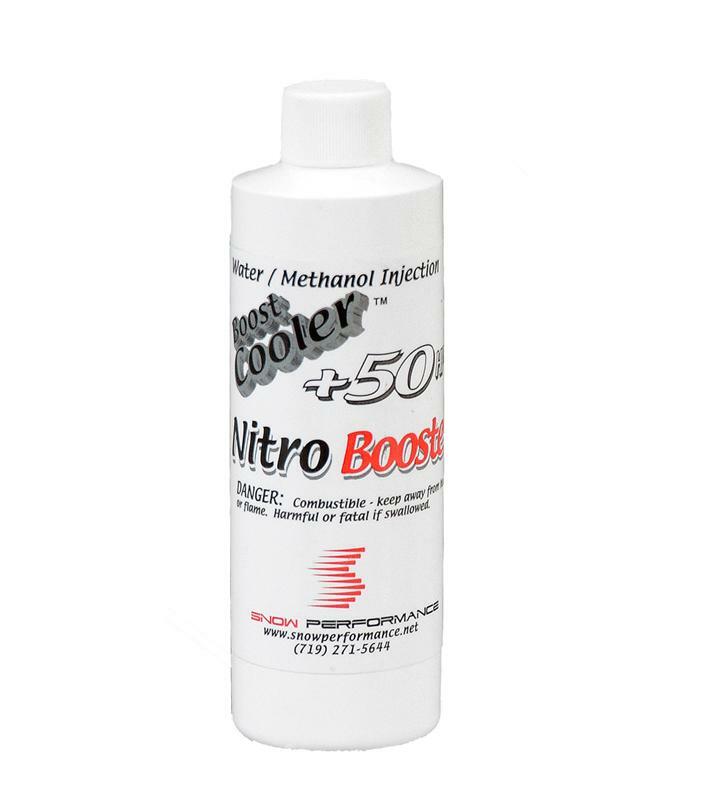 Nitro Booster™ is a great power adder designed for use with gasoline engines using Boost Cooler™ water-methanol injection kits. A proprietary blend of nitro methane and a specially developed emulsifier that keeps Nitro Booster™ equally distributed in the water-methanol mixture. This allows for a small percentage of nitro methane to be injected into the engine in the correct proportion with air and fuel to produce impressive increases in power. Usually, around 30 to 50hp increase can be measured. Nitro methane has fewer BTUs than gasoline, but contains oxygen and acts like a chemical supercharger and an octane enhancer to safely increase power. NOTE Nitro Booster CAN NOT be shipped outside of the United States.